When one is born royal, it is safe to assume that they know a thing or two about how to look the part, and Raghavendra Rathore is the epitome of a stylish and sophisticated blueblood. 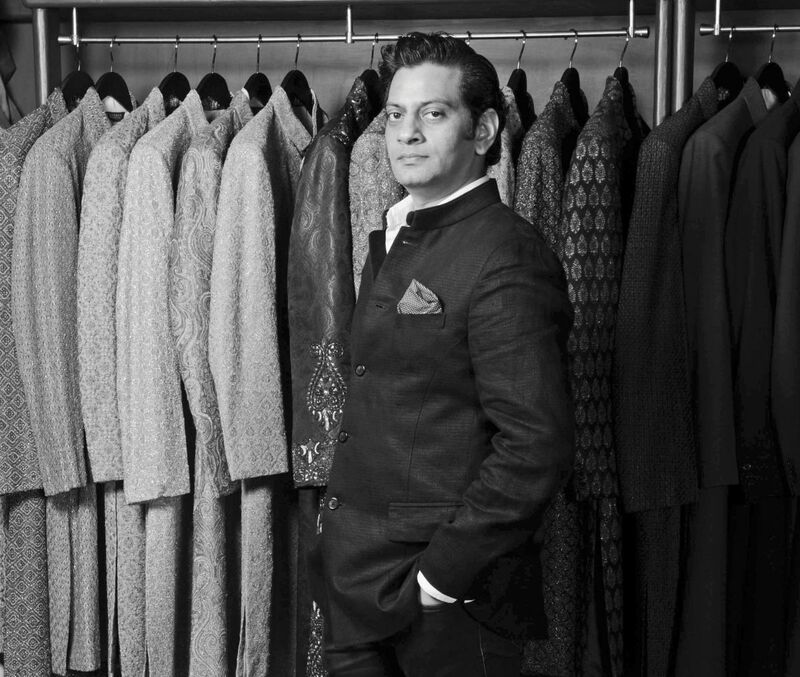 He has created a stellar luxury brand by using his royal heritage as the main driving force behind making it a truly global brand, with its roots firmly in Indian heritage that he is very passionate about. Raghu, as he is known more informally, is a picture of refinement and sophistication -- two words that define his brand perfectly. Tell us about your most recent collection. The latest AW’16 ‘Bandhgala’ collection by Raghavendra Rathore is a perfect blend of traditional and contemporary influences in design. With major focus on customisation, the collection has evolved as part of a modern stylish man’s wardrobe. One can commission jewelled buttons as per their personal style, get special prints designed for the pocket scarves or design a piece of jewellery that can never be found anywhere else in the world. With special collections for new grooms and for people attending weddings and functions, the boutique offers a very wide selection of options. Well trained in-house style attendants, offer their inputs on various selections made by clients to help them navigate to the ultimate outfit of their choice. The bandhgala, achkan, and kurta-waistcoat looks have been reinvented and exquisitely designed to make them versatile for all occasions. What are some of the sartorial mistakes Indian men make? Anything that looks very costume-like or taken literally from Bollywood imagery. Men should avoid trying too hard and should go for silhouettes that are more elegant and timeless rather than desperately try to look different and as a result ending up with ensembles that do not compliment their personalities. You are a royal from Jodhpur. How has your heritage influenced your take on fashion and style? Culture and heritage were the two pillars of my childhood; my father an ex-MLA, valued the idea of democracy and brought me up with the vision of the changing landscape of India, with today in mind over four decades ago. My stint in the US added a layer of professional understanding of the design world while cherishing the indigenous values of my childhood; in other words, combining culture from a remote dusty town into the work that I did in my capacity as a designer added the uniqueness in my portfolio as an assistant to the world’s most talented designers that I had the luck and privilege to work with. The classic Indian Nehru jacket and bandhgala look absolutely regal. Why haven’t these pieces caught on internationally according to you? The classic bandhgala has definitely created an impact on the international platform as a result of which a few international labels have started taking inspiration from the Nehru jacket and created a special line for the global market. Besides, we already have a few customers from the UK and the Middle East markets to whom we have extended our bespoke services in designing the classic Jodhpuri bandhgala suits and jackets. Who are some of the really fashionable people, in India and internationally according to you? is a picture of refinement and sophistication -- two words that define his brand perfectly.